The process for polishing the edges of granite, marble, travertine, and limestone is indispensable when considering finished products like counter-tops, kitchen tables, and washstands. Since ancient times, the edges or corners of the stones have been rounded beautifully by expert workers and artisans whose craftsmanship ensured that the stones lasted well over 1,000 years. 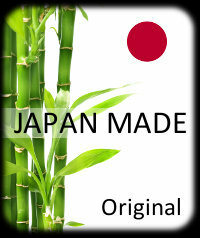 The custom of producing round edges has continued to the present today. We seldom see countertops or washstands with sharp edges. The process of rounding off edges is not only for aesthetic purposes but also for functionality. The sharp edges of the table may possibly lead to injury if someone bumps against it, or the edge may crack or chip easily on impact with something hard. Even though stones like granite, marble, travertine, limestone, etc., are hard, they still have a brittle quality as well. 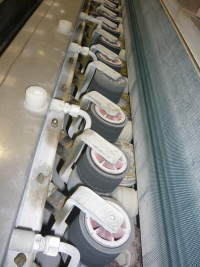 Edge polishing, represented by the "bullnose" trim, can be achieved manually by hand polishers or automatic machines, which can be applied to a large scale of material. We offer both types of tools for different applications. The usual problem faced when polishing the edges of the stones is that, sometimes, polishing does not work evenly. There is not much difficulty in polishing even, flat surfaces, but unevenness might pose a problem for the edges. During flat surface polishing, the tool makes contact with the stone surface by a close aspect, but for the edges, it's relatively closer to the line or the point of contact. The grain of the edge tools will cut more deeply into the work material, and by varying the angle or pressure, the grinding ratio can be changed easily. To achieve a smooth, even shine, considerable skill is required besides ensuring that the abrasive part of the edge tool is evenly sintered. This tool is particularly suitable for polishing engineering stone on an edge or flat polishing machine. Attachments include a snail-lock attachment, aluminum base, and Bakelite base. This tool is used to remove the scratches left behind after metal grinding. 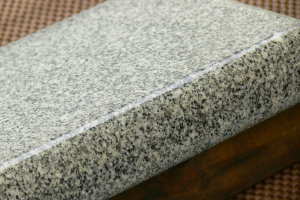 It is especially suitable for polishing granite on an edge polishing machine. The segments are configured to maximize the spread of water flow. Attachments include a snail-lock attachment, aluminum base, and Bakelite base. Buff-R wet buffing tool is ideal for producing a matte finish, while Buff-NP is specially designed for working with marble. Our Buff series does not require much water; only little water is necessary. As a characteristic of our Buff products, they polish surfaces through friction, which also generates heat.